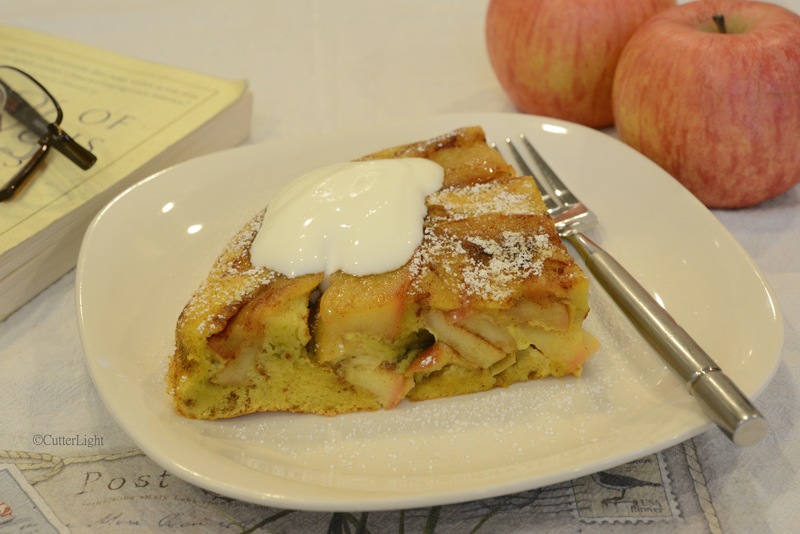 An inspiring breakfast: topped with a dollop of sour cream, this apple-filled pancake is like a mile-high crepe, as delicious as it is beautiful . Morning rituals. Jack and I start every day with a hearty breakfast. This important meal is usually accompanied with a big mug of coffee or tea and a selection of a few poems, which, lucky for me, are read to me by my favorite reader. A day that starts with healthy fuel for the body and sustenance for the mind is likely to be positive and fruitful (wink). Our breakfast menus traditionally include items like nourishing hot cereals, egg dishes, or something freshly baked. This morning’s menu came straight from the only baking recipe book I have with me here in Mongolia, The Williams-Sonoma Baking Book. If you are only going to have one recipe book, I highly recommend this one. It includes many foundational recipes for breads and desserts which can be easily modified or experimented with. I followed the German Apple Pancake recipe to the T. It came out perfectly. I am already dreaming of this mile-high pancake with farm fresh pears featuring galangal as the centerpiece spice. 2 large apples, cored and cut into wedges 1/4 inch thick (6 mm). I used Fuji apples. 1/4 cup crème fraîche. I used 20% fat yogurt. Using a blender, or a stick blender, mix eggs, vanilla, and 1/2 cup sugar for about 5 seconds. Add flour, baking powder and salt. Blend for an additional 10 seconds. Set mixture aside. Place a 10-inch (25 cm) ovenproof, nonstick frying pan over medium heat and add butter. When the butter is heated, add apples and sauté until softened, about 4-5 minutes. Sprinkle apples with cinnamon and remaining 1 tsp of sugar. Stir over heat until apples are evenly covered with cinnamon and sugar. Move the apples so that they are evenly spread in the pan. Pour batter over top of apples. Reduce heat to medium-low and cook until bottom is firm, about 8 minutes. You will notice the edges are set. Transfer pan to oven and bake until the top of the pancake is firm, about 10 minutes. Remove pan from oven. Invert a flat plate over frying pan and flip the pancake onto the plate. Cut the pancake into 4 wedges and transfer wedges to individual plates. Dust each portion with confectioners’ sugar. Place a dollop of crème fraîche on each wedge and serve immediately. This pancake may inspire someone to read you poetry after they are finished eating their breakfast! This looks completely delicious! I haven’t heard of the cook book, but this recipe makes me think I should hunt it out. It’s my favorite – just a good, solid, foundational baking book. Try this recipe and see what you think. Love to hear how it works out! Who doesn’t like Apple pancakes? Not me! These are on my list to make soon! Thanks for the reblog, Cathy. If you make this, let us know how it turns out! A wonderful recipe for brunch! This looks delectable. Thanks for sharing your food creation with us. Thank you for your comment. When we find some interesting fruit here, we are going to give this recipe a go with fruit variations.